Wat Hong Rattanaram Ratchaworawihan, วัดหงส์รัตนาราม พระวิหารน, is a second grade royal temple of Ratchaworawihan. It is an ancient temple dating from the Ayutthaya period and originally called Wat Chao Sua Hong or Wat Chao Khrua Hong, because a wealthy Chinese man named Nai Hong built it. 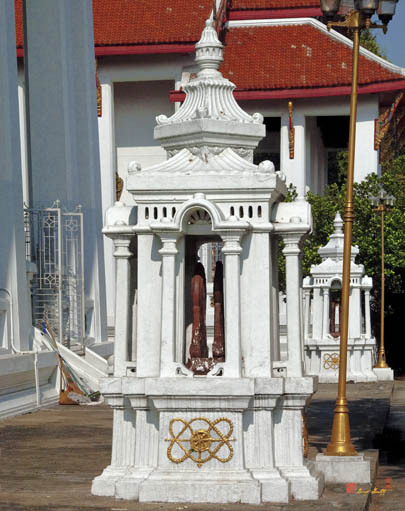 During the Krung Thonburi period, it was called Wat Hong A-Wat Wihan and during King Rama I's reign in the Rattanakosin period the name was changed to Wat Hong A-Wat Worawihan, and in the reign of King Rama II its name was changed to Wat Hong A-Wat Worawihan (no change in English, but a change in a Thai letter spelling A-Wat). In 1915 (B.E. 2458) during King Rama IV's reign its name was finally changed to Wat Hong Rattanaram Ratchaworawihan. 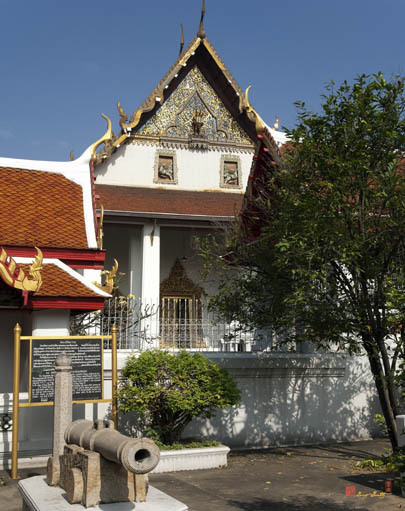 During the Thonburi period, this temple was the center for religious education because it was located near the palace of H.M. King Taksin the Great; therefore, the king took it under his royal patronage. 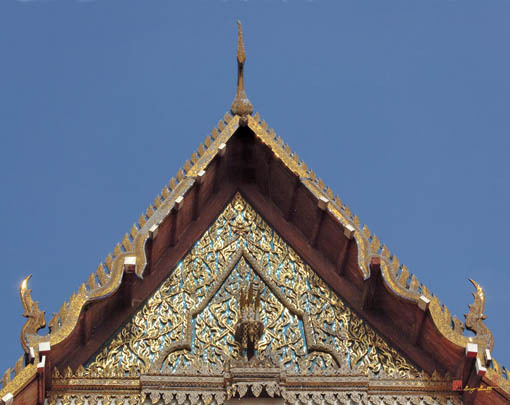 In the Krung Rattanakosin period, a major restoration was done to the temple by King Rama III. 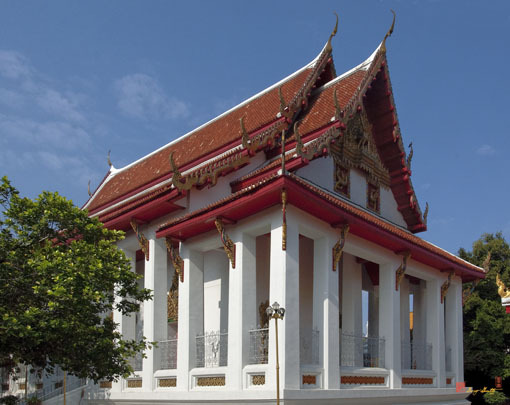 In the Ubosot (Ordination Hall), there is a Palai (Veranda) designed in the art style of the King Rama III period. The door arch is designed with both Chinese and western art styles. The stucco sculptures on the inside of the door arch are admired for their intricate details. Also, there are tempera paintings in glass frames depicting the story of Rattana Pimphawong (the Emerald Buddha). They were crafted during the reigns of Kings Rama III and IV. On the door arch of Hor Trai (a monastic Buddhist library) is a carved Krua Thao-style scroll in a floral motif that was crafted in the early Rattanakosin period. Inside the Ubosot, there is an antique golden Buddha image which was originally covered with plaster (probably to hide its value from looters). After the plaster covering was broken, the golden Buddha image was discovered. It is from the Sukhothai period and old U-Thong inscriptions were found inscribed at the base of the Buddha image. The Fine Arts Department registered the temple as a National Ancient Monument in 1949 (B.E. 2492).